Hands up if you used to love The Love Boat? The show, which ran from 1977 until 1986 (not counting three later, hour-long specials), pretty much introduced the world to the idea of pleasure cruising. Viewers were invited to “set a course for adventure” before being treated to stories of romance and fun aboard a Princess Cruises ship at destinations all across the world. Princess Cruises plus the original cast members [main photo] are set to receive an honorary star plaque on the Hollywood Walk of Fame on May 10, recognising their contribution to the history of television. Gavin MacLeod (Capt. Stubing), Jill Whelan (Vicki, the captain’s daughter), Ted Lange (Isaac the bartender), Bernie Kopell (Doc), Lauren Tewes (cruise director Julie) and Fred Grandy (Gopher, the purser) were the people we saw every week, but more than 1,000 celebrity guest stars also took to the high seas during The Love Boat’s 10-year run – including Ginger Rogers and Tom Hanks! Speaking of cruise ships, want to buy your own? A 220-metre-long cruise ship, formerly known as the Carnival Holiday, is up for sale. It’s got nine decks, a library, three restaurants and an interesting history – it provided temporary housing to victims of Hurricane Katrina in 2005 and to people at the 2014 Winter Olympics in Sochi, Russia. And it can all be yours for just AU$73 million! There’s a very timely travel tip doing the rounds at the moment, and it’s been prompted by the fact that, around the world, more and more travellers are having their hand luggage taken off them just before a flight and put in the hold. The simple tip is this: If your carry-on luggage gets relegated to the hold, make sure you have your passport! Be sure to keep it with you at all times in order to avoid lengthy delays at border control while you attempt to be reunited with this precious document. This guy couldn’t give a stuff! The Wildlife Photographer of the Year is the world’s most prestigious photography competition of its kind, culminating in a don’t-miss exhibition that’s held every year at the Natural History Museum in London before it embarks on a UK and international tour. 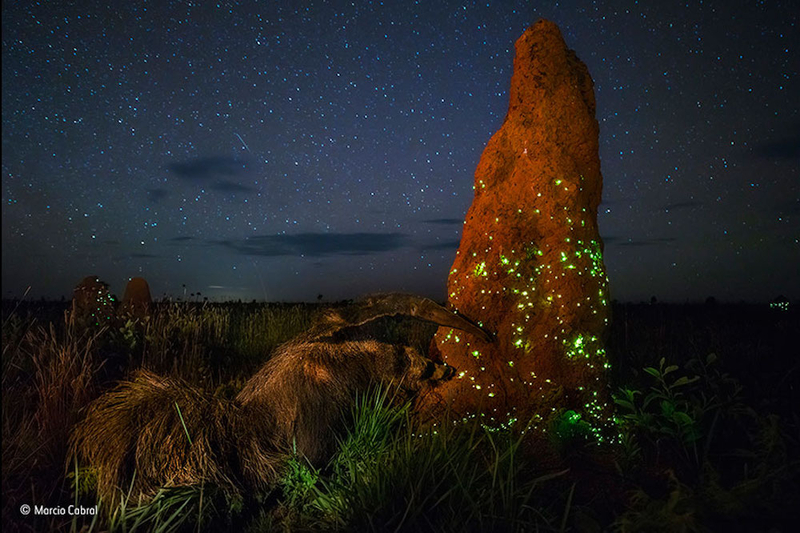 But scandal has hit the competition, relating to one of this year’s winning images – a nighttime shot of a giant anteater seemingly just about to get his dinner from a termite mound. The only problem? Turns out the anteater was stuffed! ‘The night raider’, taken by Marcio Cabral, was selected as winner of the 2017 Animals in Their Environment category, but after a big kerfuffle, it’s been announced that the image will be removed from the Wildlife Photographer of the Year exhibition and tour. Whoops!